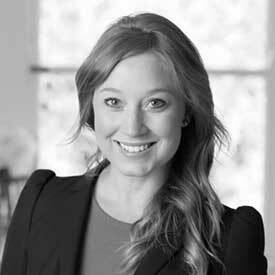 Chloé James has over 13 years’ experience in banking and financial services across Australia, Asia, the UK, Canada and USA and is the Group Media Director and Editor of the Global Retail Banker, for global FS strategic insight partners, RFi Group. In 2016 Chloé joined Sky News – Business as an evening Host, her nationally broadcast programs having a specific focus on business, technology, entrepreneurship, inspirational executive stories and FinTech. Her interviews gather advice and insight from global leaders about what makes them tick and what makes their lives and careers so captivating. She has MC’d, presented, interviewed and moderated sessions at the Global Digital Banking Conference 2017 (London), Money2020 – EU, Asia and the USA, the Australian Business Banking Summit and Australian Mortgage Innovation Summit 2017 & 2018, Sibos and Innotribe 2017 (Toronto), Women in Payments Conference (Sydney), the Fishburners’ Start-up Speaker Series, FinTech Australia’s Intersekt Collab/ Collide Summit (Melbourne), Stone&Chalk Fintech Panel night’s and the Monetary Authority of Singapore’s (MAS) Singapore Fintech Festival, Global Digital Banking Conference 2018 (Auckland), Kohab Lunch in conjunction with NSW Government, CeBIT Australia and The Bridge International Launch, plus many others. She has appeared as a guest on the 11:FS FinTechInsider podcast (UK), Fintech5 podcast (USA), and Humaniq Faces Thought Leader Interview Series (UK) and SWIFT’s Innovation in the FS Industry - Bloomberg interview series (Nth America). In 2014 Chloé created a global Women in Leadership interview series and has also been a judge in the FINNIE (FinTech Awards) and Australian Government’s Office for Women ‘Inspiring Mentoring Scholarships’ program, providing 100 scholarships to emerging or established female entrepreneurs. Women succeeding in business is a subject close to her heart. She has a First Class Honours Degree in Creative and Performing Arts.